Since its creation in 1915, the Maison Caran d’Ache, heir to precious skills and know-how, has cultivated the spirit of elegance and special care that it unceasingly devotes to the art of beautiful writing. In line with the grand tradition of Swiss manufactures, it devotes great passion to developing and creating in Geneva excellent products reflecting the high standards of the Swiss Made label. 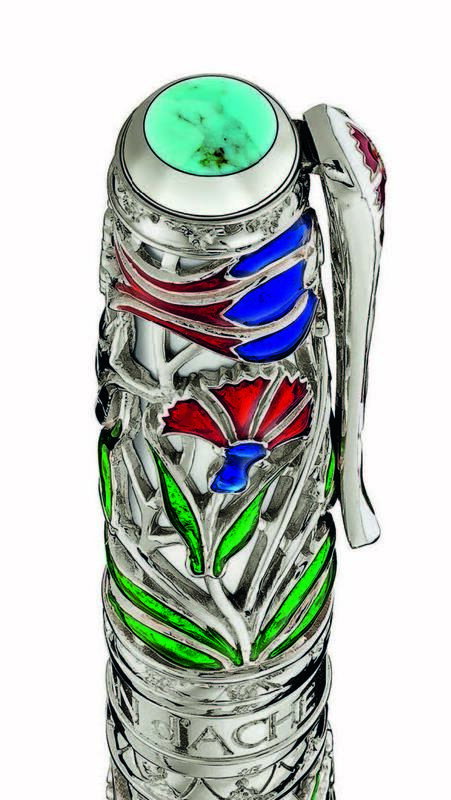 Great admirers of refined artistry, the creative talents of the Maison Caran d’Ache have combined the art of fine silversmithing with that of enamelling in paying tribute to a flower that is as gracious as it is symbolic: the tulip. The emblem of its original homeland in Turkey, this precious flower embodies an ideal of beauty, surrounded by a divine aura, as embodied in the mysterious Mahbub tulip which legends portray as the rarest and most highly prized flower in the entire Ottoman Empire. The western term “tulip” comes from the Turkish word türbent which refers to a silk turban. The generous crown of the flower was reminiscent of the silky folds of ladies’ turbans. “Mahbub” ornamental writing instruments -fountain pens and roller pens- are produced as limited editions. They embody an exceptional artistic heritage, born in the 18th century on the banks of the Bosphorus and nurtured by the enduringly inspirational passion for the tulip. 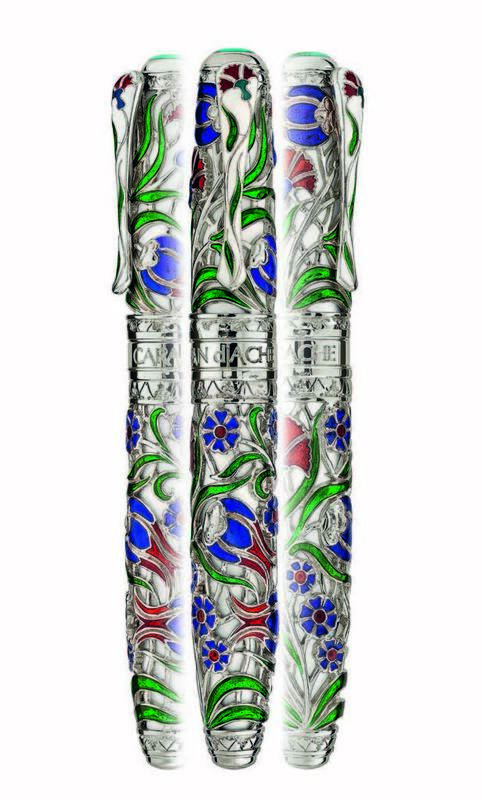 The master-artisans of the Maison Caran d’Ache represented the beauty of a luminous bed of tulips on the ornamental body of “Mahbub” writing instruments. The sinuous curves of the stalks and leaves, expressed through openworked tracery composed of rhodium-coated silver, evoke the graceful swaying dance of the flowers. Translucent red, deep blue or turquoise enamel lights up the crowns of the tulips, glowing with the majestic beauty described by poets, and painted or sculpted by artists of old. The designers of the Maison Caran d’Ache have chosen the art of enamelling to create “Mahbub” writing instruments. The pigmented material of the enamel is hand-applied in the hollows formed by the silver tracery forming the shape of the tulips. The colourful enamels thus find expression through a technique based on “partitioning” and stemming from the ancestral cloisonné technique. The translucent enamel provides subtle nuances that highlight or intensify the base colour according to the shape, depth and width of each partition. The dense green foliage and the coloured crowns of the tulips thus appear to have been painted into the metals with “watercolours”. The colouring, which is done by hand, requires extreme care and masterful artistic skill. The creators of the Maison Caran d’Ache have designed a presentation box especially for the “Mahbub” writing instruments. Its aesthetics elegantly express the floral theme and subtly hint at the vibrant artistic composition housed within. 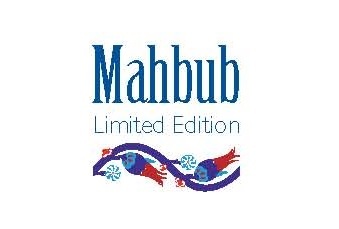 The “Mahbub” limited edition is available as 16 fountain pens and 16 roller pens. Each writing instrument is hand enamelled and engraved with its individual number.